What to do with all those lovely left over gourds and tiny pumpkins from Halloween? Why not write a message on them and leave them in your neighborhood, city, local bus stop, grocery store aisle, park bench…and the list goes on. It’s finally gotten chilly here so I’ve been sliding one in my pocket every day when I go out and let the kids decide where we should leave it. It feels nice to doing something small everyday, not too big, not too much, just a little, when the moment strikes me. 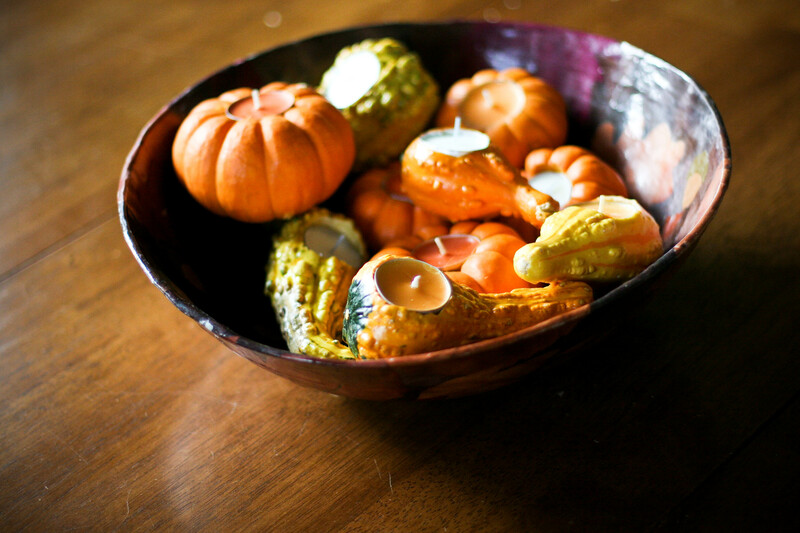 These little fall gems were an old Martha Stewart idea, you just carve out a hole just big enough for the votive…I revived them for a block party and now am wondering if I can just pop in a new votive and take a little basket of three or four to leave on a friend’s doorstep. No note, just something lovely to find. Cute! And you can totally replace the votives (but keep the old ones if there’s still life in them, ok?) and leave them for a friend. What a great, heartwarming thing to find. LOVE those little candles! Off to find my paring knife…. 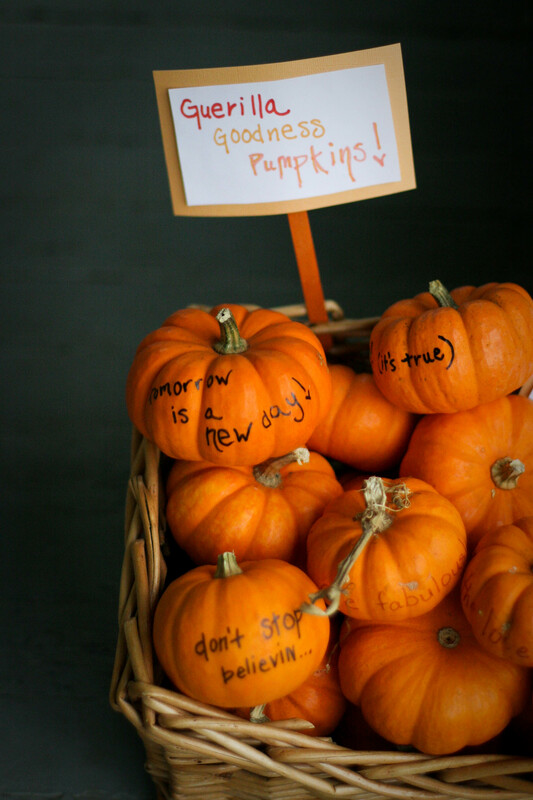 I love the guerrilla goodness pumpkins. So inspired!